As well as his work within the orchestra he has featured as a soloist on a number of occasions. Performances have included the Colin Bright Double Bass Concerto, the Dittersdorf Divertimento for Viola and Double Bass and the Bottesini Double Concerto for two Double Basses and Orchestra. Kees was a founding member of the Brisbane-based contemporary music group Elison, premiering the works of Franco Donatoni, Richard Barrett, Lisa Lim and Brian Ferneyhough. Kees performs and records with the Sydney Soloists, a chamber ensemble made up of Sydney Symphony musicians.Additional chamber music performances include regular appearances with the Australian Ensemble as well as a National Musica Viva tour in April of 2004 performing Schubert’s Trout Quintet and Brett Dean’s Voices of Angels. He was involved in the inaugural Melbourne Spoleto chamber music festival, performing with Joshua Bell, Colin Carr and Carter Brey. After studies at the Victorian College of the Arts, Kees travelled to his birthplace in the Netherlands to undertake post-graduate studies at the Sweelinck Conservatorium in Amsterdam. 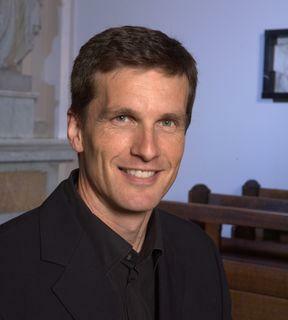 He consequently performed for two years with the Royal Conssertgebouw Orchestra, with concerts at the Salzburg Festival, the BBC Proms London and tours to Montreux, Lucerne, Paris, Vienna and Berlin.On hisreturn to Australia, Kees performed as Principal Bass with the State Orchestra of Victoria and the Australian Chamber Orchestra before successfully auditioning for the Sydney Symphony. Guest Principal appearances have been with the Hong Kong Philharmonic and West Australia Symphony Orchestra. Recent music endeavours have included solo performances at the Australian Festival of Chamber Music, the Huntingdon Festival, and the inaugural 2009 Chinese Gardens Festival in Sydney. He has enjoyed collaborating with colleagues from the Sydney Symphony, Melbourne Symphony and the Australian Brandenburg Orchestra, presenting performances of Double Bass Quartet repertory as part of 'The Four Basses' quartet. Recent appearances have included the Kangaroo Valley Arts Festival and the 2009 Peninsula Music Festival. Kees plays on a double bass made by John Lott Snr, London, circa 1810.